Now offering four new prepared microbiology medias. Now offering a new applicator stick to use with MALDI-TOF MS Systems. Puritan Introduces 12 New Product Offerings! Puritan is excited to share our new products with you. As an industry innovator, we are always looking for opportunities to expand upon our high-quality product lines in response to the ever-changing needs of our diverse market. Puritan DM Stick Wound Measurement Device Features Improved Foam Tip! Here at Puritan, we’re always striving to make our best-selling products even better. That’s why our best-selling Davis-Mangel Stick, better known as the Puritan® DM Stick, will now feature a foam tip that is longer than the original. The popular combination of Puritan liquid Amies medium and HydraFlock® swabs which was formerly known as “Puritan Liquid Amies Transport System” for Aerobic & Fastidious Bacteria, will now be marketed under the new name, Opti-Swab™. In order to comply with the FDA’s new, mandatory packaging regulation called the Unique Device Identification (UDI) system, Puritan will be updating all packaging and labels with a code which will reflect certain criteria. Puritan Medical Products, North America’s largest manufacturer of single-use medical products, announced today that it has received a new United States patent for its high-performance PurFlock® Ultra swab, marking the second collection device patent the company has been awarded for flocked swabs since December. Puritan responds to market needs with high-quality products. We are tuned into the diagnostic/healthcare world and work hand-in-hand with our customers. By helping you solve challenges, we stay on the leading edge of our industry — creating the best single-use products to assist in reliable specimen collection and accurate diagnoses. Puritan’s Liquid Amies transport systems are designed for superior ease of use and performance in the collection and transport of bacteriological diagnostic specimens. Designed for superior ease of use and performance in the collection and transport of viral diagnostic specimens, our self-contained UTM transport systems deliver effective collection and release of samples. The new Puritan sampling kits - Enviromax®, EnviroMax Plus® and ESK Sampling Kit® - were designed in consultation with the food industry. The kits are being produced as complete surface-testing kits, in secure tubes and leak-proof caps that block gasification as well as liquid spills that help to ensure testing efficacy. Puritan Medical Products Co, the leading manufacturer of specialty tip medical/diagnostic swabs and applicators in North America, has announced the introduction of a new line of high performance flocked products. The new Hydraflock™ and PurFlock™ Ultra swabs. Both products are patent pending in Europe, and have also been filed in China, Japan, Canada, Australia, and the United States. Every precaution has been taken to keep our new cuticle stick, product 2911, contaminant-free: It’s manufactured in a controlled environment to minimize contact during production. Puritan is always launching new products, special services, and state-of-the art manufacturing techniques. Here we share innovative ways some of our customers use our products. A recent study conducted by Nationwide Children's Hospital in Columbus, Ohio has concluded that Puritan's foam swabs outperform flocked swabs for detecting influenza. As published in Forensic Magazine’s February/March 2008 issue, our new mini-popule (25-4660) boosts recovery of trace DNA with its foam head and 91% isopropanol solution inside its hollow shaft. For those of you interested in cleaning small, confined spaces in microelectronics or other critical environments, we’ve developed electro static dissipative swabs in five of our most popular, critical-environment styles. Puritan Medical Products, LLC, along with its sister company, Hardwood Products Co, LLC, recently received the Spirit of America Foundation Tribute Award from the town of Guilford, ME. Puritan Medical Products Co. collection devices, announced today that the United States Patent and Trademark Office recently granted its petition to correct the title of Copan’s US Patent No. 8,114,027 B2. Puritan is set to receive two new U.S. patents for their high-performance flocked swabs. Company confident that COPAN complaint is without merit and will vigorously defend its product rights. In recognition for their cutting-edge technology and ability to adapt, Puritan recently received the People’s United Bank Innovation and Technology Award at the Maine Family Business Awards gala. In partnership with the CDC, Puritan Medical Products, North America’s largest manufacturer of specimen collection devices, developed a custom swab that successfully collects and transports the human norovirus. Puritan Medical Products, North America’s largest manufacturer of specimen collection devices, is now a one-stop shop for all your transport media needs with the release of four new prepared microbiology medias. It is our pleasure to introduce you to the newly appointed Director of Sales for our Southeast Territory, Mr. Mat Archambeault. Mat joined Puritan’s sales staff on May 2nd and assumes responsibility for this region as Elaine Seavey Maliff transitions to retirement. Puritan Medical Products, North America’s largest manufacturer of specimen collection devices, is thrilled to announce its attendance at the American Society for Microbiology’s ASM/Microbe 2016 annual event. Another win for Puritan Medical Products – New US HydraFlock and PurFlock Ultra Patents sets American manufacturer apart from overseas competitor. New system pairs innovative flocked swab technology with traditional liquid and semi-solid mediums. Puritan to be amongst the180 exhibitors to showcase their line of crime scene and DNA specimen collection tools to forensic professionals at annual forensic sciences meeting. Puritan is pleased to announce two new Chinese patents for the HydraFlock® and PurFlock Ultra® high-performance flocked swabs. Puritan is pleased to announce that the German Patent and Trademark Office (GPTO) has handed Puritan and its customers a win in cancellation proceedings initiated on Puritan’s behalf against Copan’s utility model DE 20 2004 021 932 U1 (DE’932). We’re thrilled to attend at the IAFP 2015 Annual Meeting in Portland Oregon, from July 25th-28th. We’re excited to be attending the AACC Annual Meeting and Clinical Lab Expo in Atlanta Georgia July 26-30 once again! Final decision on the scope of Copan’s European Patent EP 1 608 268 B1 by European Patent Office – Narrowed down scope of EP’268 confirmed by the EPO! It is our pleasure to introduce you to the newly appointed Director of Sales for our Western Territory, Ms. Anusha Gandhi. Puritan Medical Products, known worldwide as the expert in swab and single-use product manufacturing is thrilled to announce, they will be attending the 115th General Meeting of the American Society for Microbiology. It was announced today that Puritan's popular liquid Amies medium and HydraFlock® swab will now be marketed under the new brand name Opti-Swab™. The popular combination of superior proprietary patented flocked fiber design with optimized liquid Amies medium warrant the new Opti-Swab™ name. It is our pleasure to introduce you to the newly appointed Director of Sales for our Midwest Territory, Ms. Megan Templet. Puritan Medical Products will be featuring samples and demos of our food safety testing swabs at booth 519 at IAFP 2014 August 3-6. We’re looking forward to attending the 2014 AACC Annual Meeting & Clinical Lab Expo in Chicago July 27-31. Presented by the American Association for Clinical Chemistry (AACC), the annual meeting is the world’s largest gathering for laboratory medicine. Copan’s attack was blown away by the District Court Du?sseldorf. At an oral hearing on June 24, 2014 (case no. 4b 176/12), the Court made clear that Puritan’s HydraFlock® and PurFlock Ultra® flocked swab products are flocked differently and do not have Copan’s claimed fiber arrangement. Puritan Medical Products in bringing our Flocked Swab Rev-Elution to Little Rock June 1-4 for APHL 2014. Stop by booth #319! We’re looking forward to heading to Daytona Beach April 27-30 for the Annual Clinical Virology Symposium (CVS). Stop by booth #424 to say hi! Stop by booth #640 at asm2014 to join the rev-elution. We're offering flocked swab samples, demos of our most popular products, and more. In addition to our patented flocked swabs, and popular specimen collection devices, this year we’ll be demonstrating our new iPad microsite. Built especially for Puritan distributors, our brand new microsite was designed for distributors on-the-go and works as an interactive iPad presentation. Join Puritan Medical Products at the First Coast Infectious Disease & Clinical Microbiology Symposium in Jacksonville, Florida Feb. 14-15. Come warm up in sunny Orlando at the 014 VWR Americas Sales Conference from January 12-15. Don’t forget to stop by booth #607 to say hi! Puritan Medical Products has now been awarded ten total patents worldwide for swab devices and proprietary production methodology. Puritan Medical Products has just been awarded two new Australian patents for our HydraFlock® and PurFlock Ultra® flocked swabs. Puritan to Attend MEDICA 2013 in Dusseldorf, Germany! This November, we’re taking it to Germany for the world’s largest medical trade fair, MEDICA. Will we see you there? Catch up with Puritan at the 2013 SouthEastern Association for Clinical Microbiology (SEACM) Annual Meeting November 7 - 9 at the Greenville Embassy Suites Golf Resort and Conference Center in Greenville, South Carolina. To reflect its superior quality, we’ve rebranded our universal transport system. Look for the UniTranz-RT™ label this 2013-2014 flu season! Stop by our booth at the 2013 Annual ASM Region One Meeting at UConn this October for samples & demos of our flocked swabs & media transport systems. A recent study shows Puritan’s HydraFlock® flocked swab is the most efficient for absorbing & releasing viable cells for lab research and diagnosis. Read about the study here. Visit Puritan at booth #50 at the 2013 Northeast Laboratory Conference in Portland, ME October 15 - 17. We look forward to networking with you! Catch up with us this Oct 10 at the AHRMM Fall Educational Meeting & Vendor Fair in Arlington Heights, Illinois. Visit Puritan at booth #417 at the 2013 HIDA: Streamlining Healthcare Conference from September 24 - 26 in Washington, DC. We look forward to networking with you! Puritan's Liquid Amies, UniTranz-RT™ Transport Systems on Tap for SWACM in Dallas! Don’t miss Puritan’s liquid amies and UniTranz-RT™ transport systems at SWACM 2013 in Dallas, Sept 5 - 6. Visit us at booth #10 for demos and samples! See Puritan's Flocked Swabs at Cardinal's Annual Meeting! Puritan's flocked swabs will be showcased at the 2013 Cardinal Health Medical National Sales Meeting in Columbus, Ohio August 27 - 28. Stop by Booth #604 to say Hi! Puritan Medical Products will be in attendance at the 2013 AACC Annual Meeting and Clinical Lab Expo July 30 - August 1 at the George R. Brown Convention Center in Houston, TX. Stop by booth #4554 for samples & demos! Puritan will be attending the 2013 International Association for Food Protection Annual Meeting July 28 - 31 at the Charlotte Convention Center in Charlotte, North Carolina. Stop by Stop by booth #722 for samples and demos! Puritan Medical Products has been granted a new Canadian patent for its high-performance PurFlock® Ultra swab, marking the sixth specimen collection device patent Puritan has been awarded worldwide. Puritan Medical Products has been granted two new European patents for its high-performance PurFlock® Ultra and HydraFlock® swabs, marking the fourth and fifth specimen collection device patents Puritan has been awarded worldwide. Catch Up with Puritan at 2013 APHL! We’ll be in attendance at the 2013 APHL Annual Meeting in Raleigh from June 2 to June 5. For demos and samples, stop by our booth in the Exhibit Space! Visit Puritan at Booth #1025 at asm2013 to get the answer to CE Exhibitor Exam question #16. Pass the exam and earn 2 P.A.C.E. credits! Visit Puritan at Booth #1025 at ASM 2013! Visit Puritan Medical Products May 18-21 at booth #1025 at asm2013 in Denver, Colorado. We can't wait to see you! Puritan will attend the 29th Annual Clinical Virology Symposium and Annual Meeting of the Pan American Society for Clinical Virology, April 28 - May 1, 2013 in Daytona Beach, Florida. We look forward to connecting with you at booth #123! An active flu season has caused a shortage of UniTranz-RT™ products in the industry, but Puritan's US manufacturing plant has UniTranz-RT™ products in stock and can ship UniTranz-RT™s within 24 hours of order. Puritan’s latest U.S. patent (No. 8334134) is both for inventing the innovative HydraFlock® product itself as well as for the unique manufacturing method involved. Puritan’s HydraFlock® swab produces superior sample collection, rapid elution, and increased test sensitivity by combining a unique microstructure with innovative fibers. Puritan will be awarded a United States patent for its high-performance HydraFlock® swab on Dec. 18, 2012. Puritan Medical Products Co., LLC is North America’s largest manufacturer of single- use medical products and diagnostic products. All Puritan products are manufactured at their Guilford, Maine, U.S. facility, which includes custom media manufacturing and compounding capability to meet a multitude of customer needs. Research and development and product testing, approval and release take place in-house at the company’s state-of-the-art microbiology laboratory and conforms to stringent U.S. quality system regulations. Puritan Diagnostics LLC, a division of Puritan Medical Products Co. LLC, North America’s largest manufacturer of single use medical and diagnostic products, announced that they have received a Canadian patent and have completed examination and will soon be receiving a United States patent for their high performance HydraFlock® swab. The HydraFlock® swab combines a unique microstructure with innovative fibers to produce superior sample collection, rapid elution, and increased test sensitivity. Expanding on the proven value of its American-made diagnostic specimen collection devices, Puritan Medical Products Co., LLC, launches two liquid-based multipurpose collection and transport systems for diagnostic use through its newly created division, Puritan Diagnostics Company, LLC. Responding to a fast-growing need for specialized diagnostic collection and transport systems, Puritan Medical Products LLC has established a new diagnostic division to better serve its customers throughout the world. GUILFORD, MAINE - North America's leading manufacturer of medical, forensic and clinical swabs, Puritan Medical Products Co. LLC, has launches the production of specially designed environmental sampling kits that meet the growing demands in the food industry for better ways to combat contamination. 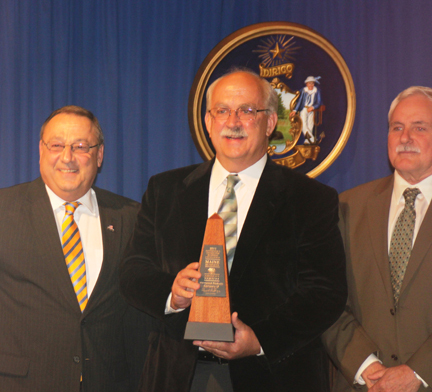 Augusta, Maine — Hardwood Products Company in Guilford is one of six Maine companies recently honored for their high level of commitment to their communities and employees, and to manufacturing or service excellence, with the 21st Annual Governor’s Awards for Business Excellence. Puritan Medical Products Co, the leading manufacturer of specialty tip medical/diagnostic swabs and applicators in North America, has announced the introduction of a new line of high performance flocked products. The new HydraFlock® and PurFlock® Ultra swabs both offer superior absorption capabilities coupled with extremely rapid release performance. Puritan Medical Products announced today the launch of a comprehensive new line of Human DNA and DNase Free sample collection devices. These products have all been certified as free of Human DNA contamination down to less than 25 pg, and also to be DNase free by Clean Earth Technologies of Winston–Salem North Carolina (www.cleanearthtech.com) Copies of the testing certification documents are available.